The sultana is a white (pale green), oval seedless grape variety also called Thompson Seedless. It is also the name given to the raisin made from it. Thompson sultana raisins are small and sweet, and have a golden color. In order to reach a delicate and unique flavor with a high quality all the raisins are washed and sorted twice in every process and then dipped in edible oil and then dried. Sultanas produced in Iran are available in light brown and dark brown colors and taste sweet. 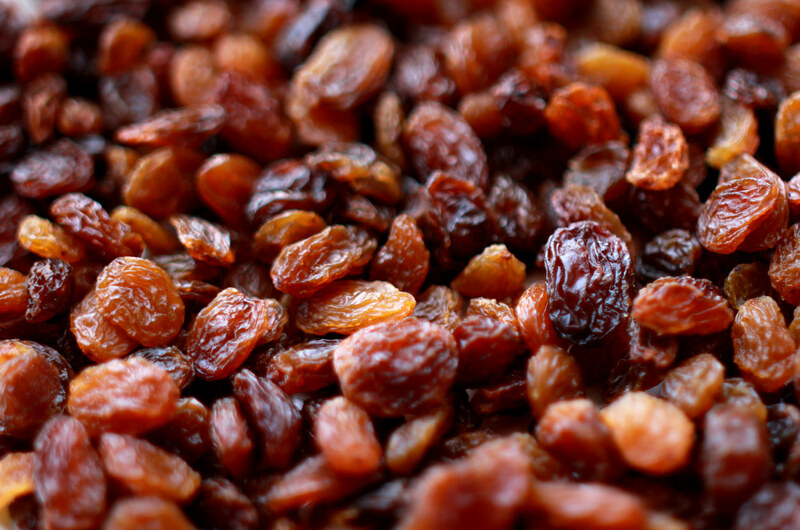 Sultana raisins are light to dark brown in color. They are dried in special drying plants and due to their very high sugar content, sultanas are very sweet and similar in flavor to honey. Sultanas can be treated with sulfur in order to gain a light brown color but the most popular one is the dark brown sultana which does not contain any sulfur and is used widely in the bread industry, cake and pastry bakeries, cereal producers, and the dairy industry. After being double washed, sultana raisins are dried, coated with vegetable oil, stemmed, mechanically cleaned, laser and hand sorted. Thereafter metal detected under extreme care of hygienic conditions and with legal and safety requirements and the customers special specifications.